There are many things to consider when buying a new Chromebook and the processor is one of them. The processor your Chromebook uses is important because it’s directly linked to your Chromebooks performance. A processor in your Chromebook or any other type of computer is called a Central Processing Unit (CPU). That’s a bit of a mouthful so it’s widely known as a processor. The processor is the most important part of a Chromebook as it’s the processor that controls all the other components in your computer. A processors speed is currently measured in gigahertz GHz. Generally speaking the higher the GHz the faster the processor. However, it’s not as black and white as that as there are lots of different types of processors. They all do the same job, but some perform differently to others. This all depends on the type of Chromebook you’re looking to buy. If you’re looking to buy an entry-level Chromebook and price is the key factor. Then the type of processor would be totally different compared to a high-spec Chromebook that cost three times that amount. If you’re buying a budget Chromebook then the processor will most likely be Intel Celeron. If you’re considering buying the best Chromebook money can buy then you would expect to see an Intel i7 processor. If you’re looking to buy a budget Chromebook then an Intel Celeron processor will do just fine. However, this is because a budget Chromebook would not be able to perform tasks that a high-spec Chromebook can. So it depends on what you want to use your Chromebook for. If you’re buying a Chromebook to surf the web and write the occasional essay then a budget Chromebook with an Intel Celeron processor will do just fine. You may notice an occasional delay if doing more than one thing on your Chromebook at once, but this delay should not be too noticeable. This is providing you’re not trying to use a budget Chromebook with more intense applications that need more power. If your next Chromebook purchase is all about performance than price. Then the type of processor your future Chromebook has is important. You would not expect to see an Intel Celeron processor in a high performing Chromebook. This is because the Intel Celeron processor was designed to be used in entry-level computers. For high performing Chromebooks you would expect the processor to be an Intel i3, i5 or i7. 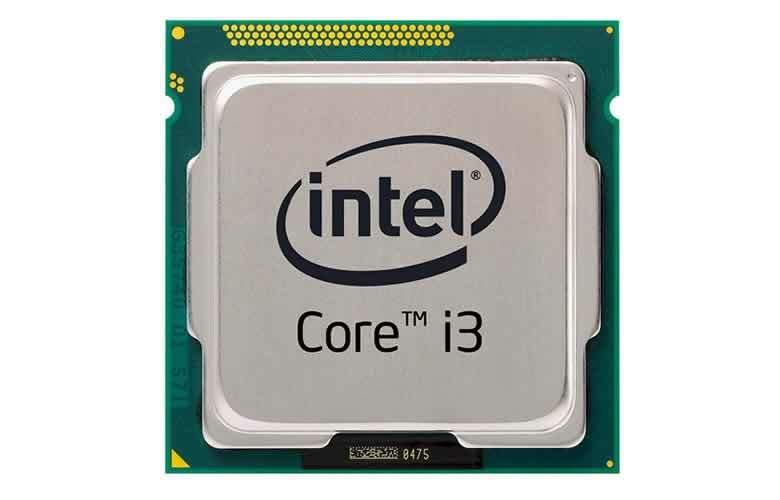 The Intel i3 is the entry-level, i5 is the mid-range level and i7 is the highest performing processor. However, you should not consider the Intel i3 as a poor performing processor. It may be the entry-level in this particular range of processors, but this range of processors are high performing. The Intel i3 processor is a powerful processor and is more than capable of providing your Chromebook with enough processing power. 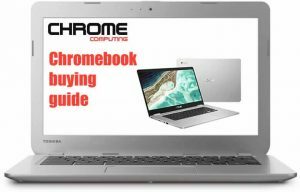 The Chromebook runs a lightweight operating system ‘Chrome OS’, so Chromebooks, in general, do not require powerful processors to perform. However, that being said the Intel i5 will outperform a Chromebook using an Intel i3. Just as an Intel i7 would outperform an Intel i5 processor. Processors are usually launched with a specific name such as the Intel Celeron processor. It’s called a family because you can get different types of Celeron processors. This usually happens when a new chip is launched. The new chip released is a new generation of chip and they generally perform better than the older generation. For example, If you had two Chromebooks and both had an Intel Celeron processor. It’s not as straightforward to assume they will both perform the same. One of the Chromebooks may have the first generation processor, while the other Chromebook could have a third generation processor. In this situation, you would expect the third generation to perform better. You can tell they are different processors because the processor name is usually followed by a model number. Searching the internet for a particular model number is not always convenient. So the best way to tell the processors apart is the clock speed. The clock speed being the gigahertz (GHz). Another important factor for a processor is the cache. A processor would normally have a cache. A cache is currently measured in megabytes (MB). The higher the MB your processor has the better your processor will perform. However, when looking at this you also need to take into consideration the type of processor as well. The cache is used to store data close to the CPU and this data is taken from the main memory. It does this because the cache memory can be accessed much quicker than the main memory on your Chromebook. Therefore, the processor will store data, which is used most often in the cache. This makes the computer perform much faster. The more MB the cache has the more data it can store. Another thing you’ll notice when looking at processors is that some processors state they are dual-core or quad-core. This essentially means a dual-core processor has two processors, which means it can handle twice the amount of processing. Again, it’s not always as black and white as that when it comes to processors. However, generally speaking, a quad-core processor would outperform a dual-core processor. Most Chromebooks currently come with a dual-core processor, but high-end Chromebooks may have a quad-core. As with most things in life it comes down to money. If you’re buying a budget Chromebook then you’ll most likely see that it uses an Intel Celeron processor. You should not see this as a negative thing, as an Intel Celeron processor is what makes the Chromebook cheaper to buy. If you’re buying a budget Chromebook and you’ve narrowed it down to a couple of machines. Check to see what processor they have. They are most likely going to be from the same family ‘Intel Celeron’. However, they may not necessarily be the same generation. The easiest way to check is the GHz rating of the processor. Also, check whether they both have the same amount of cores. They most probably will, so it will be the clock speed and cache that will help you decide, which processor will perform better. For anyone looking to buy a high-spec Chromebook then you should not really consider anything less than an Intel i3. Again, there will be different generations, so it’s important to check the clock speed and cache if comparing two Chromebooks with the same i3 processor type. If money is no object then you should try and find a Chromebook with an i5 or i7 processor. The difference in performance will definitely be noticed. The latest 8th Generation i5 and i7 have quad-core processing and there is very little difference in performance between them. So if you’re deciding between an i5 or i7 8th generation and the price difference is huge, then you may just want to opt for the i5 because the speed difference is negligible. Although making sure you get a Chromebook that will provide a good performance. When choosing your Chromebook the processor should not be the only deciding factor. 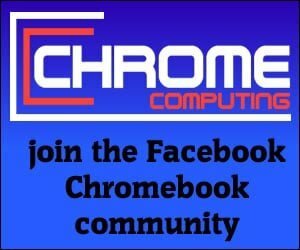 How much RAM the Chromebook has is just as important for performance. Also, you need to like the Chromebook you’re buying. If there is a Chromebook that looks ugly but has a slightly faster processor than a Chromebook you’d be happy to own. Is it really worth choosing power over looks? Obviously, this all depends on what’s more important to you.